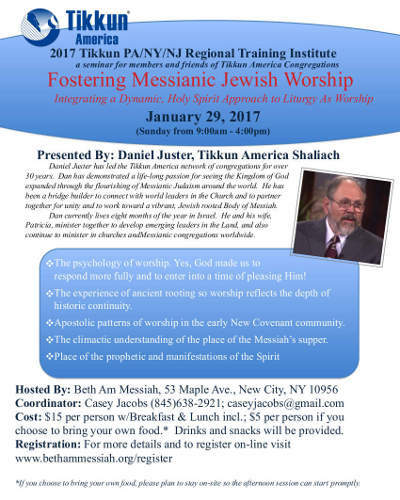 We would like to invite you to attend the Tikkun Regional Institute for Pennsylvania, New York and New Jersey on the 29th of January! We at Beth Am Messiah are hosting it and the theme will be "Fostering Messianic Jewish Worship", with Dan Juster speaking. You can register here.